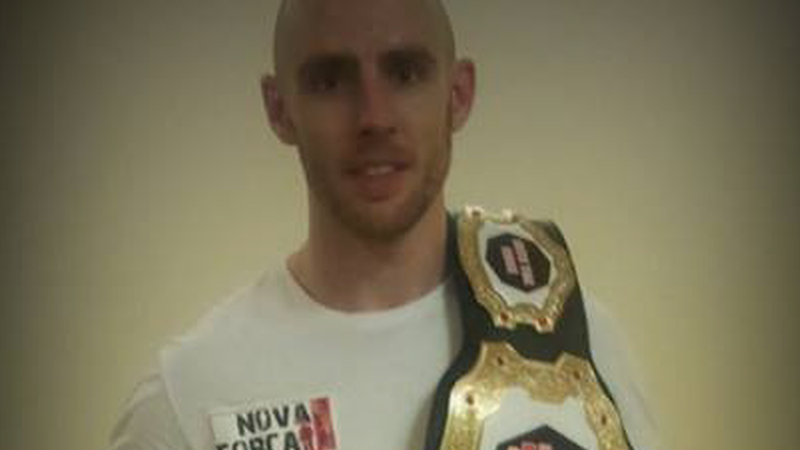 Back in late August I managed to speak with Aaron ‘Smackwell’ Blackwell before his Cage Warriors 59 bout with Kris ‘Evil’ Edwards. EB: Last time I saw you, was when you won the Bantamweight Title at Into The Cage on May 18th, in a dominating 5 round performance against Mike Cutting. How did it feel to win the belt after a 2yr absence from the cage? AB: It’s always an achievement to win any award, especially after a bit of time out. It felt good, however I prepared incredibly well and I was very confident going into that fight. My view is that all my achievements/awards are part of my path to becoming the champion I believe I am and will be. EB: You’re facing Kris Edwards on September 14th at The Motorpoint Arena, for the promotion Cage Warriors. Your first outing was back in 2007 for them, how does it feel to be asked back to take part in this new bantamweight tournament? AB: It’s a great honour, as Cage Warriors is a great show and over the years has proved it’s one of the top shows in Europe, very well organised with some very professional people involved. I am really excited about the bout against Kris Edwards, as I have got a great team around me and I’ve had a very focused camp. Obviously to be included in the tournament for the Bantamweight title is exciting, however I have a very focused mind set, so my main focus is on beating Kris Edwards first, then I’ll take it from there. EB: Although you will be going in as a ‘deciding’ reserve, if one of the main four participants is deemed unable to continue, due to injury or not receiving medical clearance, potentially you could be Cage Warriors New Bantamweight Title Belt holder, how do feel about that? AB: As I said previously, I take one step at a time; however I am very confident in my ability. So let’s see what happens. The fight against Kris Edwards will be a great fight and I am very well prepared, so let’s hope Kris has done his homework and doesn’t feel the pressure of fighting in front of his family and friends. I am coming to Wales to have an exciting fight. I am also fully prepared to fight further bouts if the occasion arises. EB: Looking through your professional record you have shared the cage with some high profile names at the moment such as Terry Etim, Ronnie Mann and Brad Pickett, even though the end result did not go in your favour do you feel a lot of people will have over looked you for this fight with Kris Edwards? AB: I imagine they have. There aren’t many people who have had an apprenticeship like me. They were great experiences and they have made me the person I am today. I wouldn’t change the past, as I have learned some incredibly valuable lessons that now underpin my whole approach. Winners learn from their experiences and put them to great use. So let’s just say I can’t wait to fight. EB: Your coach Rocci Williams has a great sense in his attitude towards his fighters in his ability to engage in the positive mentality approach in this sport, for which I personally feel is somewhat overlooked, as the sport is as much mentally demanding as it is physically if not more so. How do you feel your coaches wise words of inspiration effect you and the fighter you have become? AB: Rocci is a true inspiration to me and his words echo through my fights, we believe it’s very important to be mentally prepared and are on the same wave length, he makes sure I’m 100% mentally and physically prepared, working with Matt Walton has progressed this further and we all as a team have a winning attitude. EB: What can the ‘Smackwell’ fans expect to see on September 14th? AB: I truly believe in being a true professional in everything I do and representing the sport of MMA in a way that enables it to continue to grow and gain support across the world. When I come to Wales, I’ll be respectful and professional, however I’m coming to Wales to devastate Kris Edwards and prove that I deserve to be at the top of the Bantamweight division. AB: A dedicated thank you to Rocci Williams, I wouldn’t be where I am now without him, to Paul Wright for travelling everywhere and giving up his time to be with me on fight days (best hand wrapping skills in the business), thank you to Matt Walton for all his help with my preparation, Nathaniel Wood for all our sparring sessions together, all my team mates at Nova Forca and coach Ricardo Da-Silva, thank you to my sponsors Forca Luta for kitting me out with cool gear, and of course to my loving family for all their continued support. I wouldn’t change a rule but I would have the sport be governed by a single governing body so that the sports rules and regulations became unified under one body. If you were to hold a dinner and invited 3 guests, past or present, who would you invite and why? After this interview took place, afew days before the fight Kris got injured, therefore it got re-scheduled for Cage Warriors 60 on October 5th.